Requirements: Provide a business plan. You can choose a topic on your own. This is a proposition that I am suggesting to solve the previous problem of the methods the company can use to cope with globalization. Repositioning and expanding globally will help keep up with globalization. 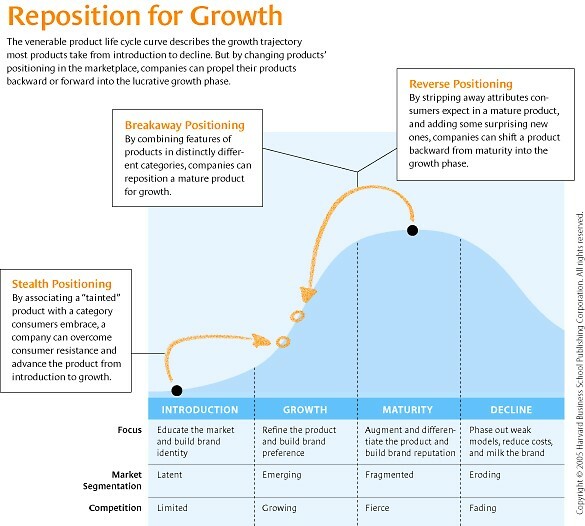 Repositioning is about a change for an improved representation of the company’s products and services. Expanding globally means that the company will expand its markets and increase sales, minimize cost, fight back competitors, or potential competitors and diversify its products. Globalization refers to the integration of governments, people, and firms from all around the globe, which results in the free movement of capital, goods, and services. Close connections in the international trade come with both negative and positive effects to organizations and companies. The positive is that companies face competition from other companies whose products are traded internationally. The competition is related to target market, company’s ability to produce faster, product price and service cost. Repositioning will help our company do more than just compete on prices. We will convince prospects that our product is the best that can be offered and at a lower price than that of the competitors. Good positioning ensures that every employee in the company is working towards the same goal and aiming at the same target. If we lack good positioning and the employees do not know what they are working to achieve even then. it will not be clear in the marketplace what we are offering. When prospects find out what we are working at and it is something that they want, we will definitely end up in their whitelist, which means more business opportunities for us, which is something that repositioning, will empower us with. This factor also means we will earn their trust through the meaningful and valuable reasons that we would have given them. In addition, it will be a reduction of selling cost because we would have made it easy for prospects to find us in the market place. This element will also result in large margins, which indicate increased cash flows. Hence, the company will have added company value. Outsourcing for cheap labor and other production options will help it in maximizing on production outputs and minimizing production costs. We can also profit from the new country’s tax structures and innovations. This expansion will help the company to diversify its product line by choosing to enter specific international markets and get to specific customer bases. Global expansion will also offer us an opportunity to protect our company from the competition and potential competitors and gain an advantage over them. Globalization to most companies means stiff competition, challenge in market penetration, challenges in product, extensive market research, and the cost of production. Repositioning and global expansion will both play an important role in making sure that the company thrives in the new market and negative influences that globalization brings with it. Looking at the two propositions, I point out that Repositioning will suit our company than expanding globally. Global expansion comes with disadvantages that I will point out. The company will employ new staff members for the expansion. Hiring creates challenges in terms of training, inducting and complying with the new policies on hiring and managing human resource. These elements also affect the quality of human resource, their skills, experience, capability to work, their motivation, and job descriptions. In the case of a quick hire of employees, the company will have to replace other employees based on their competencies. Such activities create expenses to the company. Outsourcing will affect the current workplace employee population and their motivation (Carr, 9). It will also affect the loyalty of other employees towards the company. Outsourcing will lead to employee reshuffling or laying down, which will lead to the formulation of a new organizational structure. These disadvantages of global expansion contribute to the preference of company repositioning. Global expansion also leads to culture differences and other barriers arising from the same. In most cases, we will have to repackage our products to fit global markets and their customer preferences and needs. A product that is highly held in one country might not be held with the same status in another, with the possibility of being offensive. Major financial investments are required for the expansion. If the investments will not result in financial advantages and instead the company goes into debts then that is a bad investment. In some cases where the tax structure in the new country does not work in the company’s favor ends in more cost. Compromised quality of products, which is likely to increase uniformly with expansion and loss of control are also consequences of expanding globally. Repositioning being the proposition that I am making, also has some disadvantages. These are increased expenses during the repositioning process and complications that come with the changing process that takes extensive time consumption (Newell, 87). Despite the increased expenses and changing complications, I highly propose company repositioning. In terms of expenses, global expansion expenses, which includes setting up industries and other production activities in another country, connectivity expenses and tax structures incurred costs do not compare to just the cost of repositioning. 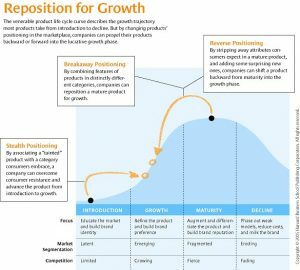 Repositioning enables the company to further tap into the market that was already there with fewer resources as compared to global expansion. Re-establishing a connection lost with the market is one of the end results of reposition. As we continue building rapport between our company and prospects. This element ensures future business deals without further effort to convincing why our product should be selected. Carr, Stuart C. Globalization and Culture at Work: Exploring Their Combined Glocality. Boston: Kluwer Academic Publishers, 2004. Print. Newell, Peter. Globalization and the Environment: Capitalism, Ecology and Power. Cambridge: Polity, 2012. Print. Well, the author clearly failed to fulfill one of the key requirements: to write this paper in clear language. Some paragraphs made me want to cringe because the word choice and the author’s manner of expressing thoughts is godawful. I especially “enjoyed” how the author makes statements without supporting them with arguments, or forgets to continue their thought. Like, in the section “Globalization effects to our company” (which already sounds weird to me), the author writes: “The positive is that companies face competition from other companies whose products are traded internationally. The competition is related to target market, company’s ability to produce faster, product price and service cost.” And that’s it. If you think there will be a part about the negative effects, you are wrong – the author just jumps to a new section. The paper is nice educational material for novice detectives. Sentences like, “Global expansion also leads to culture differences and other barriers arising from the same” can put you in a dead end, because it is not clear how they are connected to the previous paragraphs (well, not clear to me, at least). Repetitions, poor argumentation, and overall a low skill of writing in the English language made me hate this paper.